Come enjoy our fully-renovated, spacious loft-style hostel, a perfect fit for any traveler’s New York vacation! 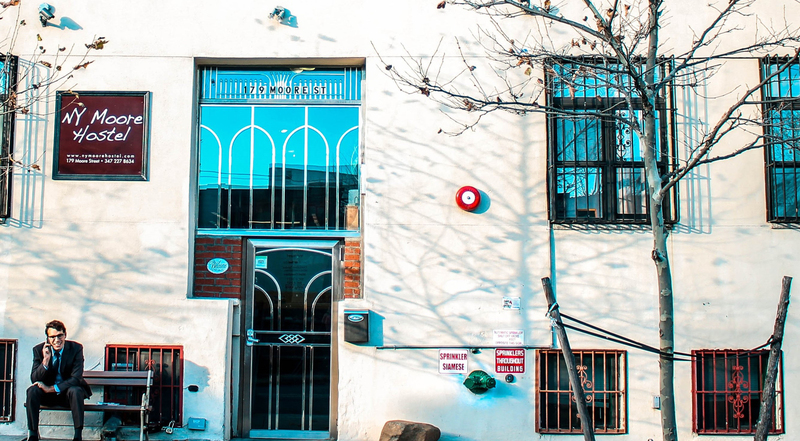 Located in the trendy neighborhood of East Williamsburg, the New York Moore Hostel provides luxury comfort, convenience and space - all for incredible affordability! Situated in Brooklyn’s most artistic neighborhood, adorned with street art and murals by both local and international artists, the Hostel is surrounded by vibrant cafes, music venues, art galleries, bars, restaurants, nightlife, gyms, shops and stores to explore. The Hostel is a short walking distance from multiple Subway lines, with a quick 15 minute commute to Union Square in Manhattan and just a 5 minute ride from the heart of Williamsburg. It’s easy to stay connected with our free Wi-Fi throughout the Hostel, as well as free street parking. Our friendly and knowledgeable staff, combined with our great services, will provide you with a warm atmosphere to ensure you enjoy your stay with us.